Keeping your outdoor patio area fresh and up to date can be a challenge with trends coming and going faster than ever before, decorating can become expensive if you want to keep up with this seasons colours and decor trends. If that sounds familiar then you came to the right place. The simplest and most cost effective way to keep your outdoor room updated is to simply add an outdoor rug. Easy enough, right? … But how do you choose the perfect one? Here are our top three styles to inspire and help you choose the one that is right for you. Monochrome colours are perfect for when you are experimenting with geometric shapes for the first time. Trust us you can’t go wrong with black and white, they are the two primary colours that will always be on trend. 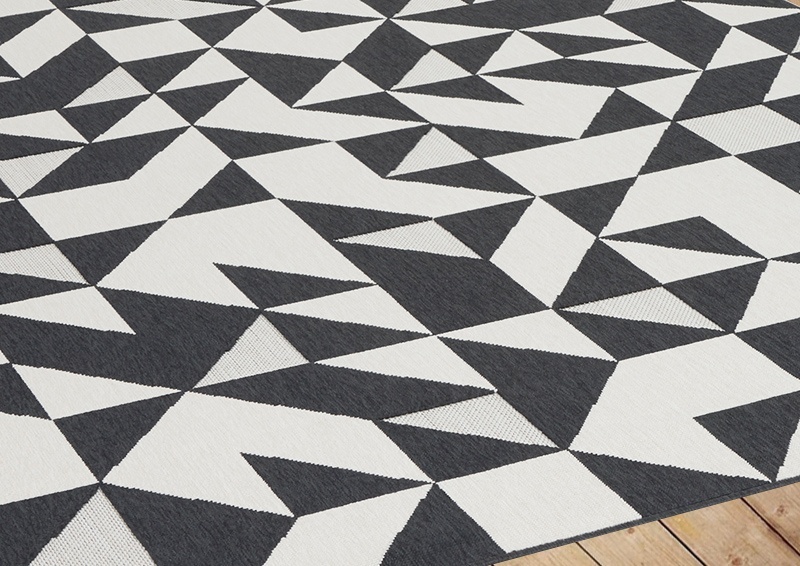 The Black And White Modern Triangular Design shown above is the perfect choice to master this style. Give your space a fresh look, simply by adding a rug with colour. This will breathe new life into the space and draw any other accessories together. 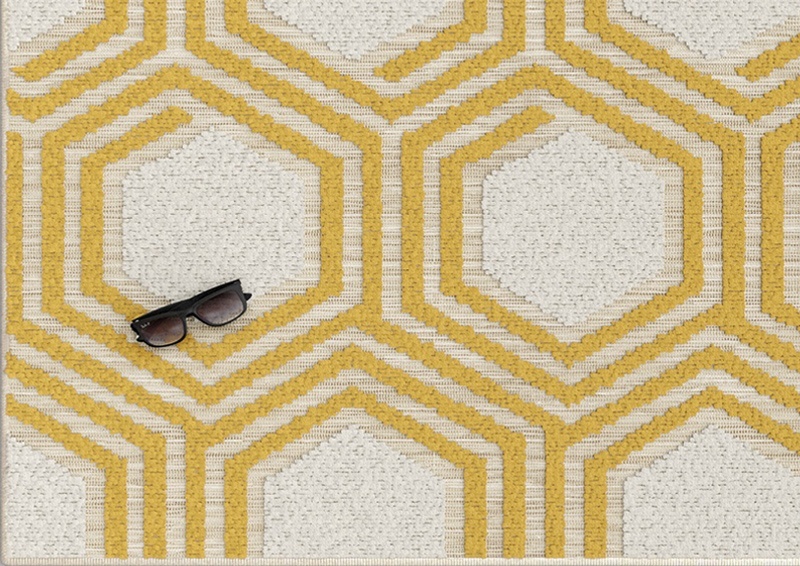 We suggest the White, Yellow And Grey Honeycomb Inspired Design rug for some colourful fun. Not into bold colours and patterns? Go for a neutral rug with a simple pattern like the Grey, Tan And Dark Blue Square Design shown above to add character and life to the space without drawing too much attention. There you have it, our top three styles that we love from a contemporary black and white style to subtle natural tones. We hope that these options has inspired you to be creative and choose the right outdoor rug that suits your taste. Now you can update your outdoor room without breaking the bank to do so. We would love to hear which style you want to try out in your outdoor room, or maybe you have another style in mind - drop us a comment below and tell us all about it. 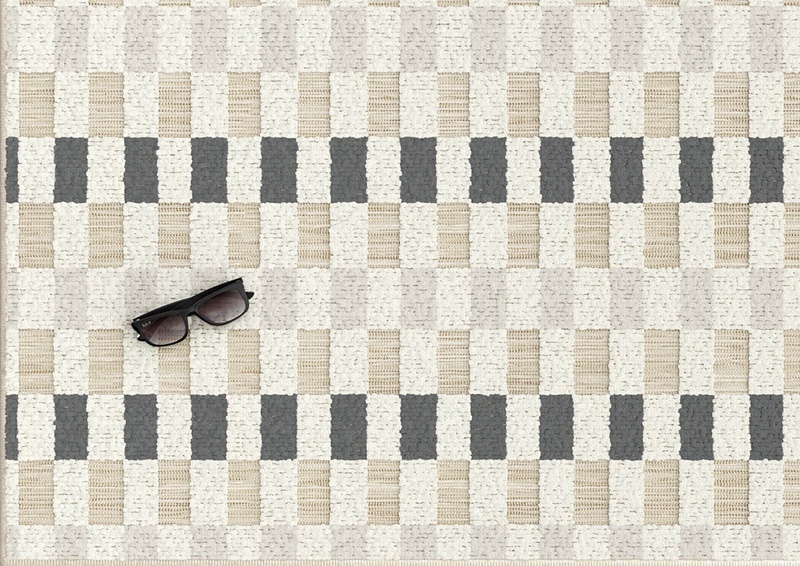 Check out our full range of outdoor rugs here for some more inspiration.